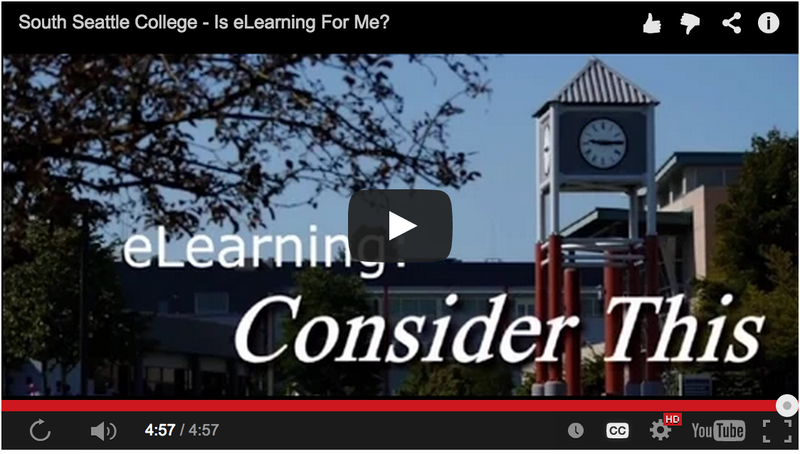 Online courses bring the classroom to you using the Internet and your email. They are taught using a variety of Learning Management Systems (LMS) such as Canvas, Google Suite 4 Education (GS4E) and other platforms managed by the instructor. Course materials vary and may include textbooks, study guides, DVDs, videos, as well as information downloaded from the Internet. All online students will be charged an online fee. Check with our campus bookstore for a list of required materials. Online learning requires students have the necessary skills to learn online and complete their online assignments. Before you take any online class, you should be confident about your computer and study skills. Please be aware that eLearning staff cannot teach you how to use your computer or navigate the Internet. Please thoroughly review this set of skills and technology required. FULLY ONLINE courses are completely online and require computer and Internet access. These courses may be identified in two ways on the class schedule; with a section number of .70 after the item number and/or listed as ONLINE in the scheduled days/times area. The class schedule provides an eLearning filter to find these courses but they're combined with hybrid courses in this filter so you'll need to watch for the described indicators. HYBRID courses are both online and on campus and require computer and Internet access. The required attendance for on campus days/times are noted in the class schedule. These courses may be identified in two ways on the class schedule; with a section number of .77 after their item number and/or listed as HYBRID in the scheduled days/times area. The class schedule provides a filter to find these courses. WEB-ENHANCED courses are fully on-campus courses that use online resources to enhance the curriculum and communication of things like grades, etc. Instruction takes place on campus and has required and scheduled face-to-face days/times. Please check with your instructor if you need to know if the course is web-enhanced prior to registration. Online courses are not self-paced. Like on-campus courses there are homework, mid-terms and final exam dates and expectations. Fully online students must adhere to their class timeline and turn homework in on time. Carving out time several days a week to stay on top of assigned reading and homework is not easy and requires great deal of self-discipline. Have a backup plan for computer use in case you experience technical difficulties with your computer. Keep backup copies of all your work, assignments, quiz answers and grades! http://sites.southseattle.edu/backup-strategies/. Be patient and ALWAYS let your instructor know how you're doing. Like yourself, instructors are not available 24/7. It's important to schedule time with your instructor, if needed. While all students are expected to have basic computer skills, remember that it never hurts to ask for help when you need it. Students can visit our STARS in the library for one-on-one technology advice. Please contact us via our online support center, https://southseattle.info and we'll get back to you ASAP.